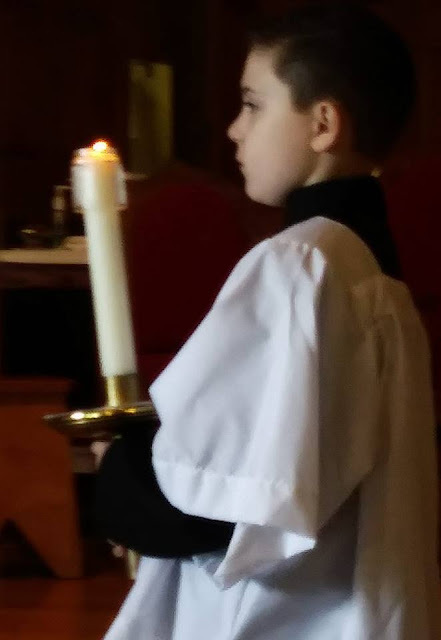 Our littlest guy received his black belt Friday night, and his cassock Sunday morning. I think he was more excited about the cassock. Like his dad, and his older siblings, being an altar server is something his heart yearns for. He carries on a proud and sentimental tradition, and made his mama's heart melt. I love my boy and his love for Jesus. May he always carry His light in his heart.